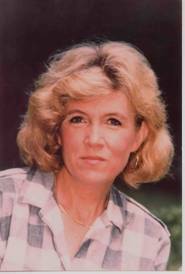 My sister, Susan Hurley Harrison, 52 at the time, disappeared on August 5, 1994, in Baltimore County, MD; her remains were found on November 29, 1996, in rural Frederick County, by two hikers. Her death was subsequently ruled a homicide by the state medical examiner. 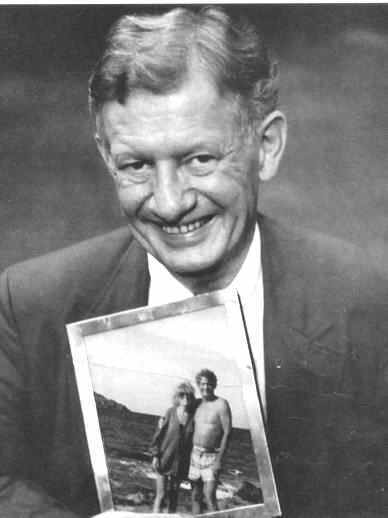 Our family had been assured by police that if Susan’s body were found and her death determined to be a homicide, charges would be brought against Jim Harrison, her allegedly abusive estranged second husband, who was the last person to see her alive and whom she had been in the process of divorcing. An arrest never occurred and charges were never filed. I believe that Jim Harrison has gotten away with murder. My outrage at this lack of justice is expressed in my 2003 book, Finding Susan. Susan was scheduled to fly to Boston on Saturday, August 6, 1994, with 19-year-old Nick, the younger of her two sons from her first marriage, for a visit with my brothers and other relatives. She went over to Jim’s house around 7:00 Friday evening and never returned. Nick waited and waited, then left her a note to call him at his dad’s as soon as she returned. The next day Nick went back and she wasn’t there. He contacted my brothers in Boston, and throughout the day Nick and they tried calling both Susan’s and Jim’s, but got no answer. Nick drove by Jim’s house, though, and saw his car in the driveway. In the early afternoon, Nick and his father, Tom, reported Susan as missing. The police went to Jim’s house in the late afternoon; his car was there but he wasn’t. They left a note on the door for him to phone them. He finally did at around 7:00 p.m., and they told him Susan was missing. Jim claimed that after Susan came to his house the night before, they began drinking and then arguing. Around 10 p.m., he went upstairs to bed, leaving her downstairs yelling. Shortly thereafter, he claimed, he heard her car door slam and she left. The next morning he woke up and decided to go for a jog. This did not ring true to the cops or anyone who knew Jim, because he was an out-of-shape heavy drinker who was not known to exercise. After jogging for awhile, he claimed, he came to the Light Rail stop and decided to take the train into downtown Baltimore for the day. In late afternoon he took the train back to the same stop and walked to his Lutherville home. Jim’s accounts and behavior over the next days and weeks were suspicious. When his cleaning-woman came to clean the house about a week after Susan disappeared, Jim requested that she clean the downstairs bathroom, normally little used but this time filthy with dirt and soil; he also asked her how often she emptied out her vacuum cleaner bag (she brought her own vacuum cleaner). The woman didn’t know about Susan’s disappearance at the time; only later—unfortunately after she had disposed of the contents of the bag—did she learn of it, and then she went to the police to report her suspicions. My theory is that Jim was filthy when he walked back from the Light Rail on August 6, because he’d lugged and buried a body. His story about having been jogging earlier in the day would cover him if anyone had seen him walking back from the train stop in the afternoon, and the soil in the downstairs bathroom was the result of his hastily changing clothes after returning home and realizing the cops were looking for him. Further evidence built up over the next few months. A utility worker said he’d been repairing electric lines following a power outage Friday night, and from his aerial bucket above and to the east of Jim’s house he heard a car door slam and saw a car leave Jim’s driveway around 4 a.m., heading west. He couldn’t make out the car, but said it could have been a Saab, the make of Susan’s. This added more to my family’s theory about what had happened: Jim probably accidentally killed Susan in a rage, realized she was dead, panicked and waited a few hours trying to figure out what to do, then when he thought few cars would be on the road drove her body in her car to some remote spot he knew of (he’d grown up in Baltimore County and knew all the back roads), dragged her some distance from the road and buried her in a shallow grave, drove her car somewhere and disposed of it, then took public transportation into Baltimore, wandered around all day, then took the Light Rail home. When Susan’s car was found at Reagan National Airport in Washington, D.C. three and a half weeks later, this theory seemed to be borne out: public transportation back to Baltimore from the airport was simple. Jim finally consented to take a lie detector test in November, and he failed it badly. Additional circumstantial evidence accumulated over the following months and years. Jim’s propensity for violence was seen in assaults on officers on three occasions when he was charged with dangerous intoxicated behavior, and former colleagues at McCormick Spice Company, where Jim had been chief financial officer until taking early retirement, rumored of his tendency towards temper eruptions. Police records, medical records, and testimony from a forensic psychiatrist came to light, supporting Susan’s allegations of Jim’s abusiveness. 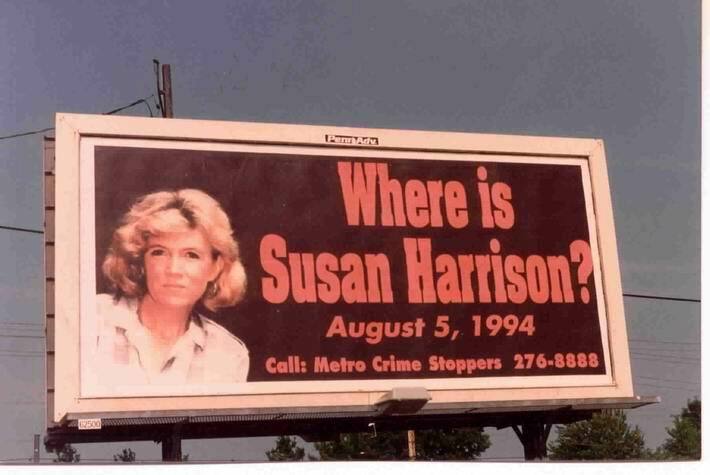 Furthermore, although Jim claimed to love Susan and be distressed by her disappearance, he never made one effort to look for her, while her siblings and sons hired private investigators, put up posters and a billboard, kept at the media, and relentlessly searched for her. 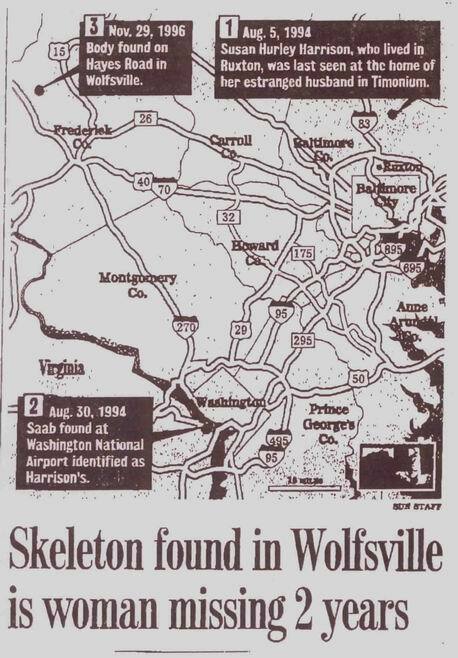 After Susan’s remains were found in Wolfsville, Jim claimed never to have been to that area, yet our private investigator found a very credible witness who remembered Jim and Susan visiting that area about a year before her disappearance. We suspect he knew this would be a good place to dispose of a body. 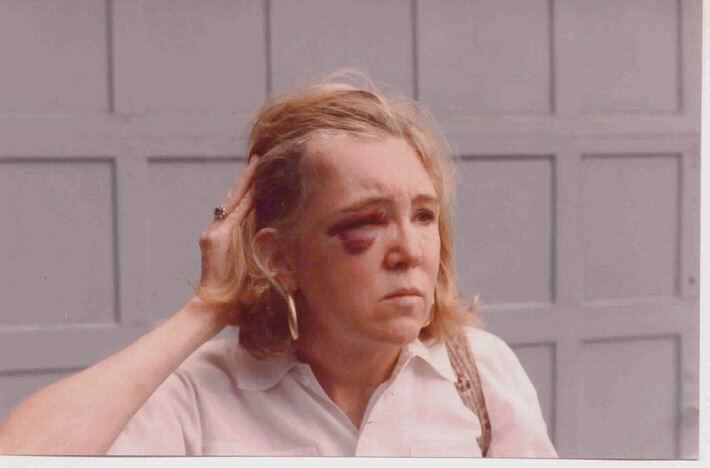 Had the police done their job and the prosecutor done hers, Jim Harrison would have been arrested and tried. The cops did a sloppy examination of Susan’s car. They did not do a forensic analysis of the soil on the tires, which could have enabled them to find out where the car had been driven and where Susan’s body had been disposed of. Had they done that, Susan’s body would probably have been found much earlier. The police also could have used a bloodhound to help figure out who had been the last person to drive the car. But they didn’t do that either, nor, as far as I know, did they note what position the driver’s seat was in. In addition, the police waited too long (over three months) to get a warrant to search the house, operated under the mistaken theory that they could get Jim to confess, and blew many opportunities (see my book for details). The prosecutor had no experience with murder cases (because of a jurisdictional dispute—it could not be determined whether the murder occurred in Baltimore County or Frederick County—the case was given to the attorney general’s office) and seemed afraid to go up against the formidable, aggressive lawyer Jim had hired. After two years of handling the case, she called off the investigation due to “lack of sufficient evidence.” My family was outraged: we have researched and followed numerous cases with less compelling evidence that were prosecuted. We suspect that, like O.J. Simpson, Jim Harrison, because of his wealth and clout, was treated differently than the average Joe would have been.